We've picked our favourite books to help you get through the hectic Christmas period. 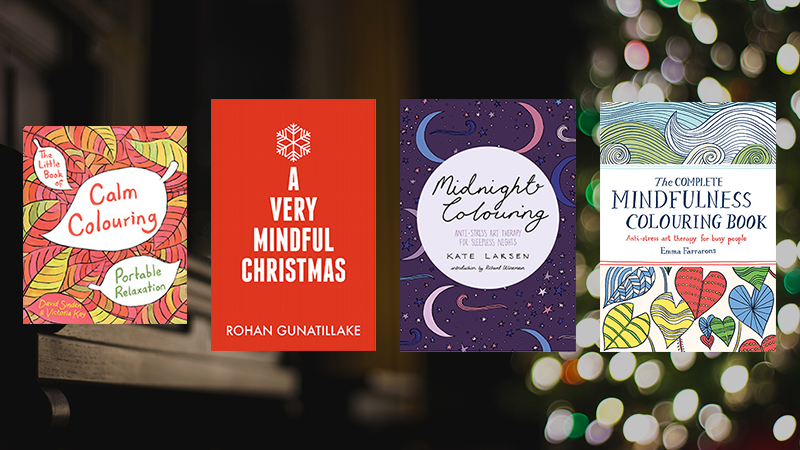 the mindfulness and colouring book crazes show no sign of dying down and with health benefits such as lowering stress, reducing anxiety and increasing focus we’ve picked some of our favourites to get you through the hectic christmas period. here’s our pick of the very best to beat the stress. beautifully illustrated by french illustrator emma farrarons, the pocket-sized the complete mindfulness colouring book packs in all of the illustrations from both the mindfulness colouring book and the more mindfulness colouring book and provides the perfect way to calm down this christmas. anti-stress dot-to-dot by emily wallis is full of gorgeous dot-to-dot illustrations of majestic animals, elegant buildings and gorgeous scenes from nature. guaranteed to lower those seasonally-induced stress levels. calling all fans of colouring looking to take the next step! mindful doodling by gwen burns brilliantly melds the structure of repetitive patterns with blank space, opening up the page for you to use your imagination to doodle away and escape the taxing lead-up to the big day. full of enchanting scenes and patterns of sleeping dormice and the vast night sky, midnight colouring by kate larsen is a beautiful colouring book designed to soothe and send you on your way to a restful night's sleep in case that unfinished shopping list is keeping you awake. 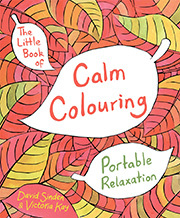 alleviate anxiety and soothe all holiday-related stress with the sunday times bestseller the little book of calm colouring from david sinden and victoria kay. beautifully hand-illustrated and compact to boot you can now take colouring art therapy with you when you’re on the go. filled with iconic images from the bbc one series, the poldark colouring book by gwen burns features the charming demelza, dastardly george warleggan, the man ross poldark himself and not forgetting garrick the dog ­– a perfect present for the poldark fan in your life. whether you love it or hate it christmas comes around every year. a very mindful christmas by rohan gunatillake shows us how we can approach the season to make it feel less stressful, and help to put the joy back into it.